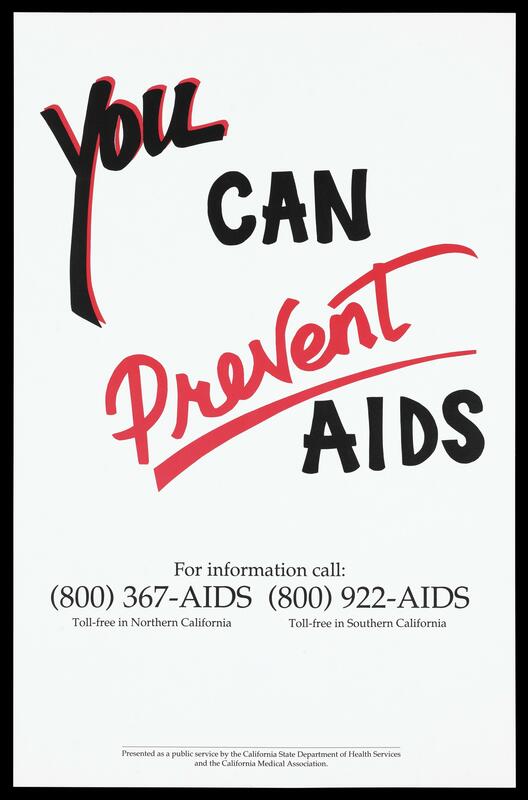 The message 'You can prevent AIDS'; advertisement for the AIDS information lines in California by the California State Department of Health and the California Medical Association.Colour lithograph. You can prevent AIDS. For information call ... Presented as a public service by the California State Department of Health Services and the California Medical Association.